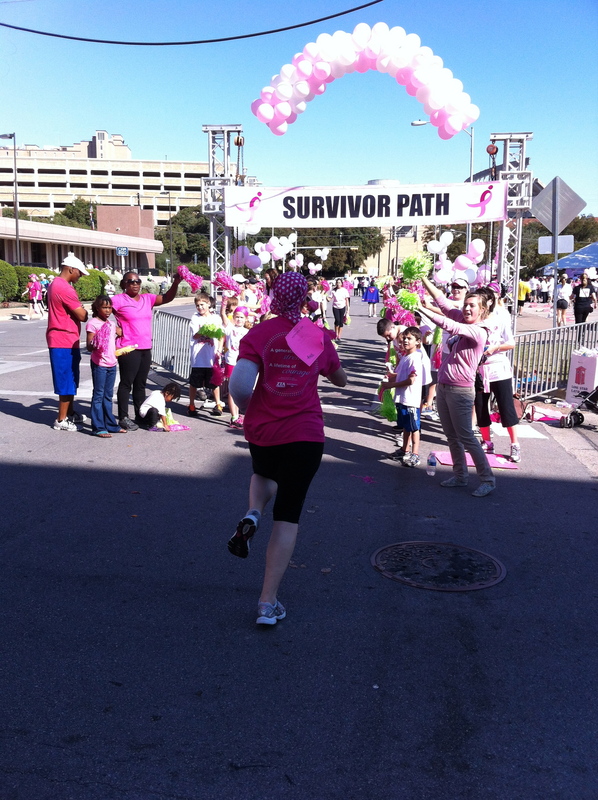 Komen Austin has provided valuable funding to Breast Cancer Resource Centers (BCRC) for nearly 15 years. Initially, Komen funding allowed our organization to hire our first bi-lingual patient navigator and extend our services into the Latina community. Funding from Komen Austin currently allows BCRC to provide important cancer screening services – free of charge – to uninsured women. In support of a valuable ally in our efforts to improve the lives of those facing breast cancer, BCRC is recruiting a team to participate in this year’s Race for the Cure. If I didn’t have the assistance that our Austin Komen affiliate gave to me during that time, I would have had no choice but to put off the biopsies while I figured out the financing. And putting off biopsies means putting off the diagnosis and subsequent treatment – a decision that could have easily turned my Stage 2 breast cancer into a Stage 4 lifetime of treatment. I wish I could remember the names of the navigators from both Komen and the Breast Cancer Resource Center who helped me through this whole process – I was so shocked that some of those details were not remembered. But I will have a lifetime of expressing my profound gratitude in any way I can for these two groups that provided not only financial assistance but emotional support and guidance through a very dark and difficult time in my life. And most importantly, they gave me hope that I was not alone in dealing with a devastating disease like breast cancer — so with every dollar donated or raised through events like Race for the Cure, another woman like me is helped and given hope. Thank you, BCRC and Komen, for being advocates for women’s health and for never, ever leaving us alone. Join Team BCRC this November!